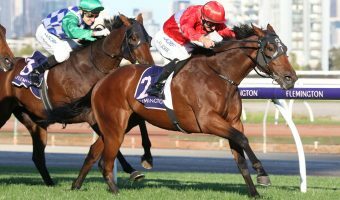 Redkirk Warrior continued to defy the history books saluting in the Newmarket Handicap 2018 results on Super Saturday going back-to-back in the Flemington sprint classic for the first time since Razor Sharp (1982-83). 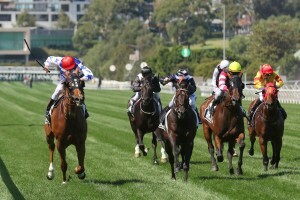 Redkirk Warrior (outside, red cap) made history saluting in back-to-back Newmarket Handicap results on Super Saturday at Flemington. Photo: Ultimate Racing Photos. 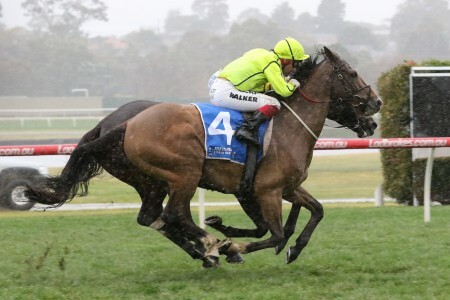 Last year the Lindsay Park-trained import won the Group 1 $1.25 million Newmarket Handicap (1200m) fresh for the first time in a century and he didn’t shy away from the challenge today going up from 52.5kg 12 months ago to the 57.5kg top weight for the 145th edition. Also working against the Notnowcato seven-year-old was the outside barrier 15 of 15 draw and the fact the Flemington winners had been doing so from the inside all day. 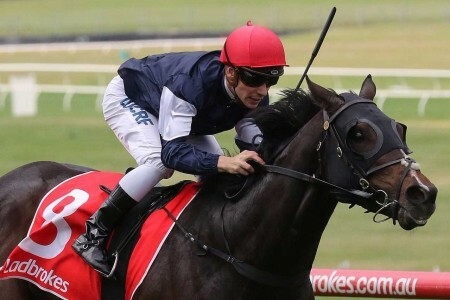 The stable however instructed young hoop Regan Bayliss, celebrating his 21st birthday tonight, to take a risk and head to Grandstand side at HQ with the reigning champion. 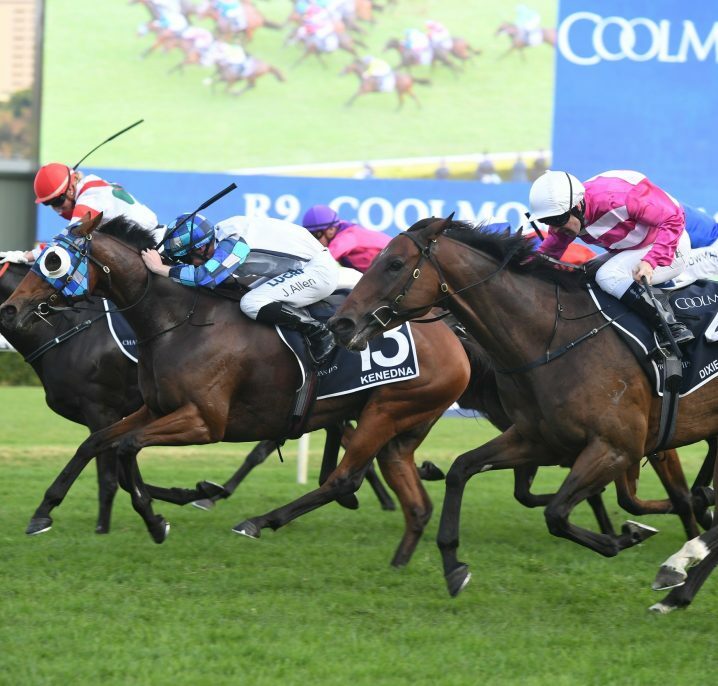 It proved a winning move with Redkirk Warrior ($7) leading the pack on that side ahead of the likes of stablemate Thronum and another Flemington specialist Supido. 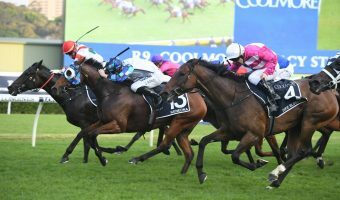 On the flat side, it was Lord Of The Sky and the gun filly Booker at the front with Rock Magic also chiming in as the finish line approached. 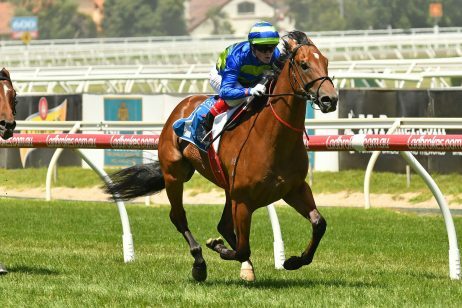 In the dying stages, the Darren Weir-trained Japanese expat Brave Smash ($9.50) down in distance off his lead-up Group 1 Futurity Stakes (1400m) win at Caulfield hit the front on the inside. 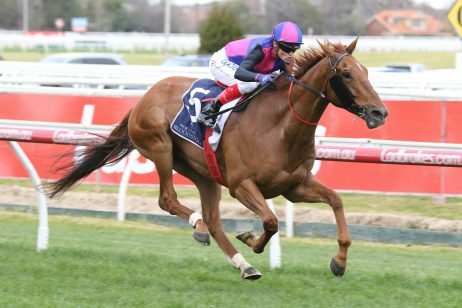 Redkirk Warrior on the far outside failed to give in however and got up in a thrilling photo finish to become the race’s fifth back-to-back winner and the first in history to win the Newmarket – Lightning Stakes – Newmarket treble. 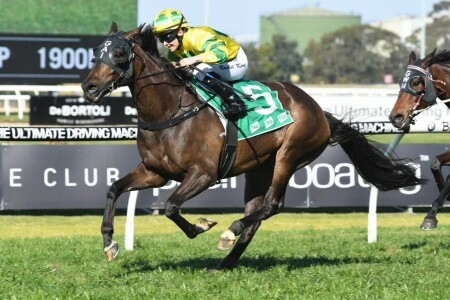 In third rounding out the Newmarket Handicap trifecta was the beaten Aaron Purcell-trained three-year-old favourite Merchant Navy ($6) who was far from disgraced in his placing second-up against an open age field. 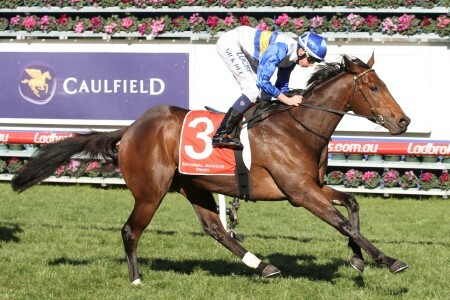 The Newmarket Handicap result handed young Bayliss with his third Group 1 success, all aboard Redkirk Warrior. “I’m just so blessed. 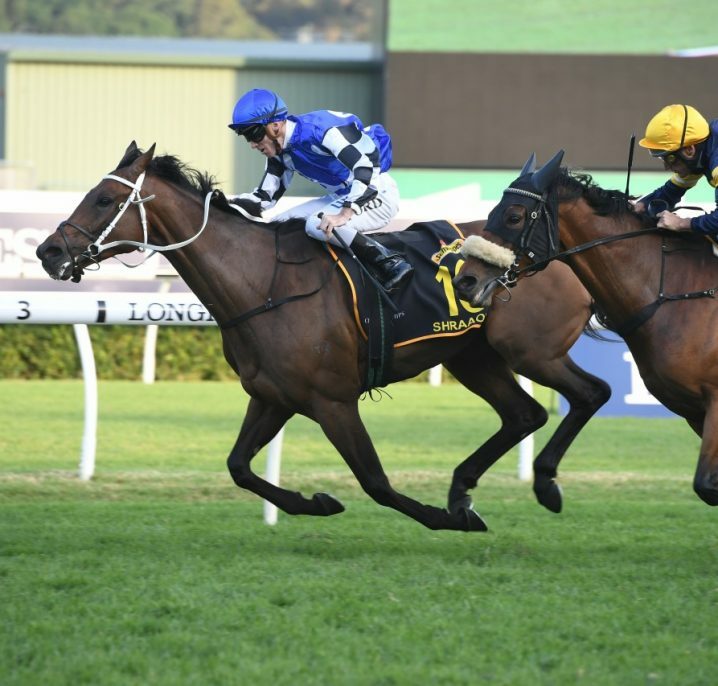 I’m 20 years of age and I’ve found a horse like this so early in my career,” he said post-win. “He keeps defying history this horse. 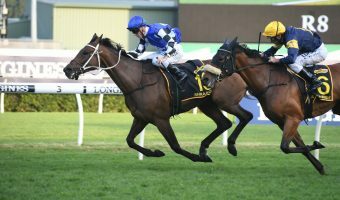 “Now he’s won consecutive Newmarkets, it’s not easy to do it and just shows you the scope of this animal. “Went to the outside fence…we rolled the dice. 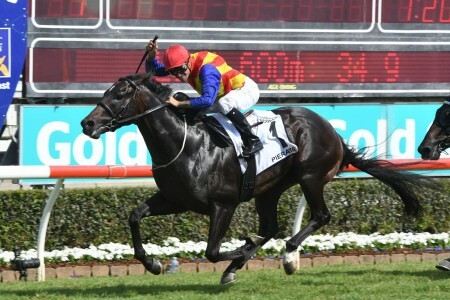 “He just travelled beautifully in the run. “Good horses don’t give in and he’s one of them. Co-trainer and son of Hall of Famer David Hayes, Ben Hayes described Redkirk Warrior as a “very special horse” after the historical win. 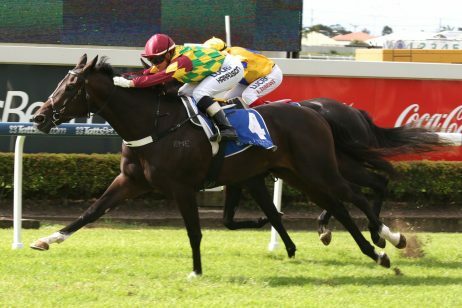 “He’s a very special horse he loves the straight just fantastic,” he said. “His first time jumping with the blinkers in the Lightning he missed the start…today he jumped a lot better and led like he did last year. 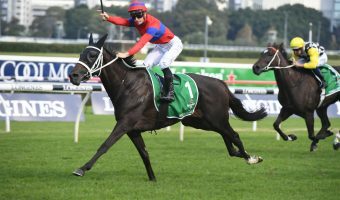 David Hayes was also thrilled with the result, his 73rd Australian Group 1 success, and said the option of head to England’s Royal Ascot Carnival remained on the cards for Redkirk Warrior. 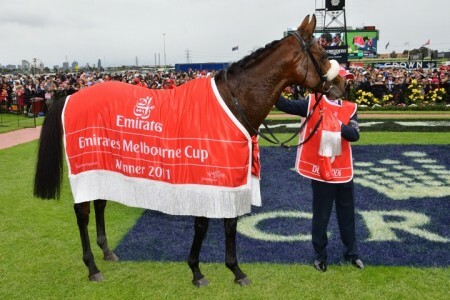 “To win it with top weight in a Newmarket, he’s a wonderful horse,” the master trainer said. 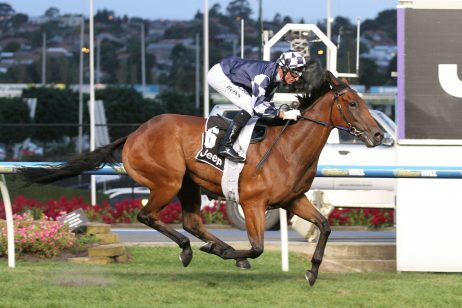 “We were very confidence he would run a mighty race…but he had to lump that weight. “We’ll just see how he pulls up. He’s invited to Roy Ascot and he might go there. 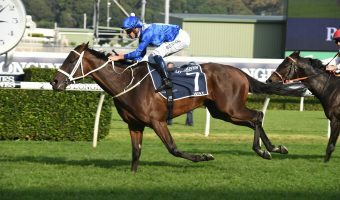 “But he loves Lindsay Park so much I half sort of don’t want to travel him either. “It’s best to sleep on it. “He’s a wonderfully talented horse. 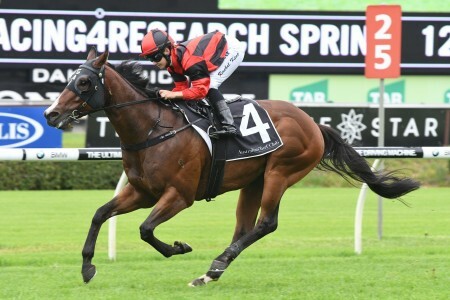 If he stays down under there is a chance Redkirk Warrior will head towards another clash with Redzel in the Group 1 $2.5 million T.J. Smith Stakes (1200m) at Royal Randwick on April 7. 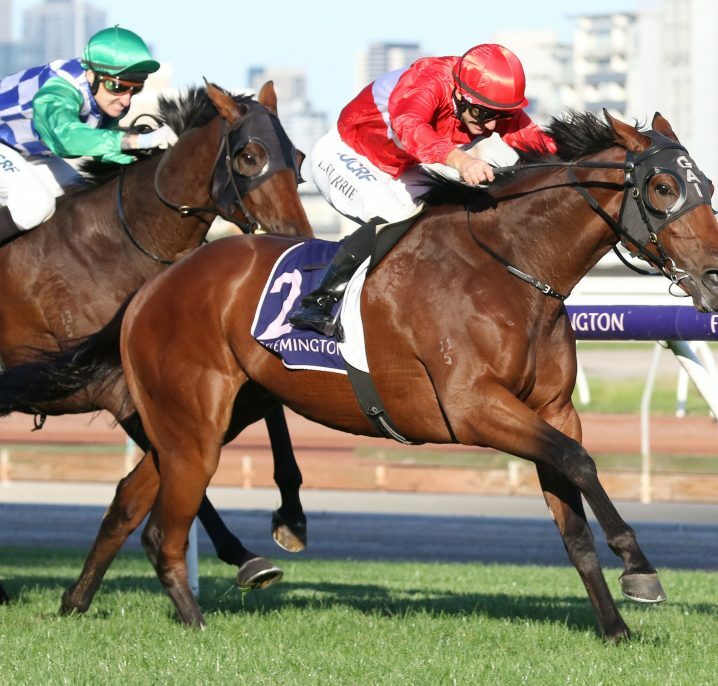 Redkirk Warrior upset Redzel first-up in the Group 1 Black Caviar Lightning (1000m) at Flemington, form of which was also franked in Sydney today with the runner-up Redzel setting a new track record to salute in the Group 2 Challenge Stakes (1000m). 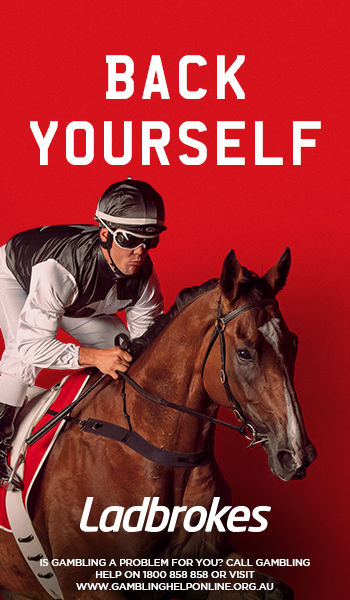 Redzel is now the $3 favourite in futures TJ Smith Stakes betting at Ladbrokes.com.au, while Redkirk Warrior has firmed in from $21 to $13 to take out the Sydney feature.